Human capital is the lifeblood of any company. Yet, employee turnover and disengagement rank uppermost in business continuity. The organizational trend towards big data management has, unfortunately, left quite a gap in resources given to talent management. Naturally we need a blend of both strategies for company health. Employee advocacy needs to be more than generic performance reports, a monologue-filled town hall meeting, and the occasional raise in salary. The employee population is an organizational machine that actualizes the bottom line and sets the reputation of the company. Employees make or break a company. To date, senior management has paid attention to employee engagement as a means to reduce company costs. The bottom line will always be the most telling benchmark of company performance, and it is no secret that employee turnover packs a punch. The majority of Leadership considers recruitment costs and new employee onboarding costs when working with Human Resources on human capital management issues. However, there are numerous absence costs resulting in process and productivity disruption, as well as very serious exit costs that may come about with involuntary termination. These above cited costs do not take absence costs, exit costs, and company reputation management costs into consideration. As we have discussed on numerous occasions with our partners at Nater Associates Ltd., workplace violence issues tend to stem from simple, overlooked cases of employee disengagement that then avalanched into full blown issues. Many of these cases would have been handled effectively with an effective and timely employee advocacy program in place. A majority of HR programs do not take sentiment factors into consideration, and so miss problems such as discrimination and harassment until it’s too late and a workplace incident such as violence or lawsuit has occurred. Human Resources tend to react punitively to signs of non-performance without tools to discern whether an employee may be facing hidden workplace factors. As the workplace becomes more agile and complex, CSUITE has begun to explore means to better understand and develop enterprise-wide employee engagement. An HBR Analytics Services study found an interesting trend: senior managers were pro employee engagement as a catalyst for innovation and company growth, while middle managers saw employee engagement as a means to cut costs. This is an encouraging trend where CSUITE leadership is fast becoming a proponent of employee advocacy for company growth and innovation. Company growth only happens when employees feel that they can voice concerns as well as ideas in a safe environment. Vezta & Co. strongly proposes having employee engagement as a required metric to be added to Board of Directors risk management oversight duties to ensure strong governance. While it is not appropriate to ask the Board to execute employee advocacy, the Board of Directors of any company has the responsibility to set strategic direction along with senior management. Employee engagement is frequently severely overlooked as solely a middle management HR issue that is somehow separate from organizational governance. This gap needs to be fully addressed. We recommend that all Board of Directors risk management responsibilities include effective employee advocacy and engagement that must also detail quantifiable and qualified risk tolerance thresholds to be assessed and monitored at specific intervals. Cameron Keng of Forbes Magazine reports that the average raise a loyal employee may expect over a 2 year period is 3%, whereas the average negotiated salary increase for the same employee who goes to the competition is anywhere from 10% to 20%. This fact already puts a spoke in the wheel of employee advocacy and retention. We encourage companies to hire employees with the highest skills set and most positive attitude. Yet, once this talent is on the ‘inside’ we tend to silo their talents and expect our employees to follow procedure without input and many times, without a voice. In today’s competitive corporate landscape employee advocacy must be fully put to practice to ensure business continuity through human capital development, and employee engagement must be included as a quantifiable metric of company bottom line performance to build a better workplace. While the confluence of these three incidents has caused many to panic, mass shootings are sadly nothing new. The New York Times reported that there were 10 prior deadly rampages since 2012, with the number of deaths ranging from six to 26 people, and the number of wounded far greater.1 A 2012 survey identified at least 73 mass shootings in the United States in the last three decades.2 However, given the size of the United States, the odds of being the victim of a workplace shooting are statistically low.3 Thus, while employers should take prudent measures to protect workplaces, employers should not overreact or impose drastic measures that are disproportionate to the actual risk, are unnecessarily costly, or are likely to be ineffective. As demonstrated by the spate of mass shootings, some believed to be acts of terrorism, it is not possible to prevent all acts of violence that may affect employees. Nonetheless, in an effort to reduce risk and prevent undesirable occurrences, employers should have policies and practices in place to increase awareness and reporting of actual or potential incidents of workplace violence. Workplace violence encompasses any conduct that is sufficiently severe, offensive or intimidating as to cause an employee to reasonably fear for his/her personal safety or the safety of his/her family, friends and/or property, such that employment conditions are altered or a hostile, abusive or intimidating work environment is created. This includes actual acts of violence such as shooting, hitting and other forms of physical abuse, as well as threats of violence, including surveillance and stalking. While some instances of workplace violence are committed by employees, many are perpetrated by outsiders such as family members, spouses or partners, clients or strangers. And while many think of workplace violence as threatening conduct that only occurs in the workplace setting, workplace violence is actually much broader and also encompasses behavior that occurs outside the work premises—if the company determines that the incident may lead to an occurrence of violence at the company’s work site. This may include violent conduct or threats of violence by one company employee against another (such as an employee making threatening phone calls, sending menacing e-mails to a co-worker’s home, or brandishing a weapon in the workplace), and threats or acts of violence occurring off the company’s premises involving an employee of the company as a victim (such as a threat of violence by an estranged spouse or disgruntled customer). Although three mass shootings in the same number of weeks could make it appear as though there has been a drastic increase in incidents of violence in workplaces and public places (which are also the workplaces of many), employers should not overreact. As stated above, there has been a steady stream of mass shootings and other violent acts in the workplace for decades, and yet such tragedies are statistically rare. Nonetheless, there are measured, time-tested steps that employers should take to increase awareness of, and consequently improve chances of preventing, violence in the workplace. Employers are well-advised to adopt a “zero tolerance” workplace violence policy and to disseminate such policy to all employees. Key elements of such a policy include a statement of the company’s commitment to maintaining a safe working environment free from violence and intimidation; a definition of workplace violence and illustrative examples; a description of the types of objects that will be deemed prohibited weapons; a statement encouraging employees to report any such behavior that makes them feel uncomfortable; the company’s reporting procedure, which should include alternative persons to whom such behavior can be reported; the company’s commitment to investigate promptly all reports of suspicious behavior and threats of violence; the company’s discretion to implement the program in keeping with its commitment to maintaining a safe workplace; and the potential consequences should an employee be found to have engaged in behavior in violation of such policy. The mantra “if you see something, say something” will yield results if employees know that they can come forward and have their concerns promptly addressed, without fear of retribution. Many employers also choose to address domestic violence in the company’s workplace violence policy. The workplace violence policy should be distributed in the same manner as the company’s other important policies, such as equal employment opportunity and harassment avoidance. Like the equal employment opportunity and harassment policies, the workplace violence policy should be regularly reviewed with employees. To further reinforce the company’s zero-tolerance workplace violence policy, a company may wish to conduct periodic training of employees on how to spot potential workplace violence and take the appropriate action when confronted with a potentially violent or harassing situation. Much as a fire drill alerts employees to the steps they need to take in the event of a fire, live or computer-based workplace violence prevention training programs tend to reinforce employees’ awareness of possible signs of workplace violence and the steps they should take when confronted with actual or threatened violent conduct. As part of its workplace violence prevention program, each company should designate a management response team (MRT) to act as the frontline response to any occurrences or threats of violence in the workplace. Depending on the employer’s size and organizational structure, the MRT might include representatives of senior management, human resources, security, and in-house legal counsel. An MRT might also include outside representatives such as threat assessment professionals, local law enforcement authorities, risk management professionals, and outside counsel. The MRT should develop an emergency response plan that anticipates how the employer will deal with an incident of workplace violence—including securing the workplace, contacting law enforcement, informing employees of the danger by alarms, emails, or text messages, notifying families during and after an incident, dealing with media, and responding with any necessary crisis counseling and other measures in the aftermath of an incident. In addition to developing and implementing a workplace violence program and designating an MRT, companies are also well-advised to conduct a comprehensive safety and security audit to identify and correct any gaps in security or possible unsafe conditions, such as malfunctioning security systems, broken locks, multiple sites of access, and poor lighting. Installation of deadbolts on doors could be an inexpensive precaution that may save many lives in the event of an attack. Creating “safe rooms” is an option that companies are considering with increasing frequency; these can involve great expense and it is recommended that a company with experience in design be consulted. Many companies conduct safety audits internally, often led by security or facilities departments; other companies engage the services of private security companies. As part of this safety initiative, employers should consider partnering with their local police departments; many precincts have community affairs officers available to assist. Indeed, in some municipalities, the police may offer security consultations as part of their community service initiatives. To avoid the confusion evidenced in recent catastrophes, where employers were uncertain as to which employees were in the building at the time of an incident of violence, it may be advisable for companies to adopt a sign in/sign out system each time an employee enters and leaves the building. Employers should also require employees to update their personal information and emergency contact information at least annually, in the event that an emergency were to occur. Finally, many companies try to avoid issues potentially associated with hiring violent employees by conducting background checks. However, while criminal background checks may provide invaluable information regarding whether an applicant is at risk of engaging in violent behavior in the workplace, employers must be mindful of applicable legal constraints under various federal, state and local laws. Pursuant to the federal Fair Credit Reporting Act, an employer that enlists a third-party to perform background checks on a prospective (or current) employee, which the employer may use in connection with employment-related decisions, generally must provide prior notice to such person and obtain his/her consent. In addition, prior to taking any adverse action against such applicant (or employee) based on the results of a background check (including a decision to not hire or to terminate such individual), the employer must provide the person with a copy of the background check report and a summary of rights under applicable law. Employers also should be mindful that Equal Employment Opportunity Commission takes the position that the use of criminal background checks may result in adverse impact liability in violation of Title VII of the Civil Rights Act of 1964. Further, some states have enacted laws limiting employer use of conviction or arrest records, and others have adopted so-called “ban the box” statutes prohibiting the employer from asking questions about conviction or arrest records until after a conditional offer of employment has been extended. Certain state laws have imposed detailed restrictions that must be followed to legally prohibit weapons in the workplace. An employer must therefore ensure that any action taken with respect to an applicant or current employee, or even when implementing new policies and procedures, does not run afoul of applicable law. The recent mass shootings and acts of terrorism have prompted many employers to inquire as to whether they are legally required to—and if not, whether they should—conduct active shooter training. Before rushing into this, employers should be mindful of certain considerations. There is no general legal requirement that an employer conduct active shooter training. In general, employers are not security experts and lack the training and expertise to direct employees as to how to react when confronted with a gun in the workplace. Rather, it is only law enforcement officials and other government authorities who should be giving such directives. The potential consequences of a misstep can be both dangerous and costly. For example, if an employer advised employees during a training drill to run if ever confronted with an active shooter, and an employee is shot in the back while running from an assailant as directed, the employer could face possible liability on top of other tragic circumstances. For employers who decide that they want to offer some type of emergency training as part of their workplace violence prevention program, there are a number of options. An increasing number of police departments offer active shooter and other such training, free of charge, to employers. The Department of Homeland Security has a wealth of resources offered to the public, including several excellent short training videos. One, entitled “Run, Hide, Fight,” uses actors to depict an active shooter in the workplace, while the narrator gives instructions regarding the best course of action for particular employees depending upon their location. An employer who chooses to incorporate one of these videos into its regular workplace violence training is well-advised to make it clear to employees that the recommendations are those of the Department of Homeland Security. 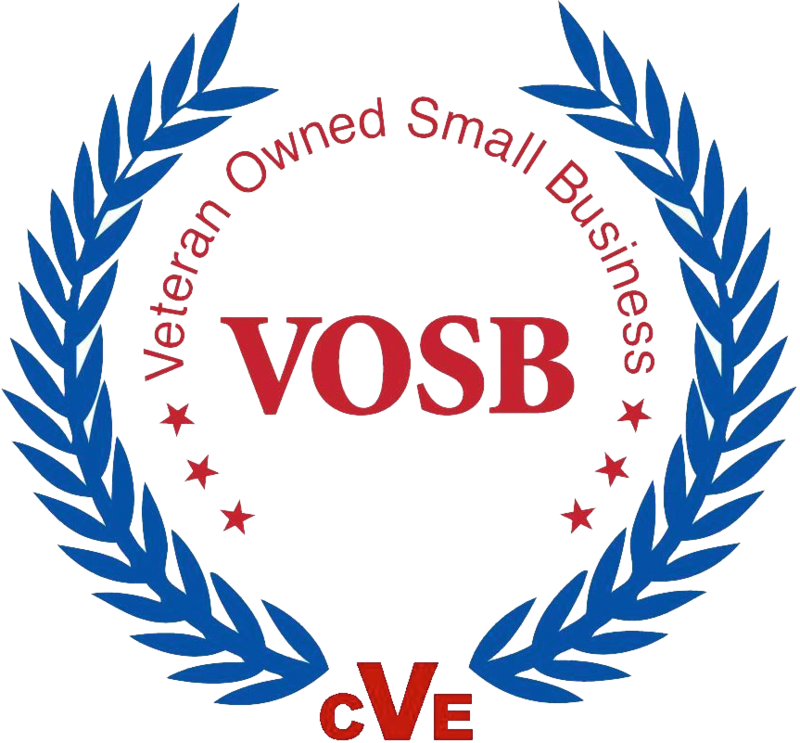 There are also a number of private companies that offer drills and other training to employees on how to react when faced with a shooter or other dangerous emergency situations. Employers should carefully vet the qualifications, training and references of such companies, and ensure that they carry adequate insurance in the event that any participant is injured. Proponents of such training believe that, like fire drills, having participants walk and talk through simulated situations creates innate responses when faced with an actual situation, which could save lives when instant reaction is critical. For example, during these exercises, emergency evacuation routes are identified and employees practice getting to them. These drills could also offer life-saving tips, such as making employees aware that certain rooms are always locked and that running to them could waste valuable time and result in an employee being trapped when unable to enter. Other drills using actors posing as shooters could force employees to decide, in a moment of panic, whether the best course of action is to run or to shelter in place, following which trainers can critique their actions in the safety of a classroom setting. Like any other emergency training, however, repeated training or refresher courses on a periodic basis would produce the best chance of retention. Unfortunately, it is impossible to prevent incidents of workplace violence entirely. However, by implementing comprehensive procedures, educating employees on the necessity of recognizing and reporting threatening, suspicious or otherwise troubling conduct, and taking other preventive measures as outlined above, an employer is in a better position to recognize, confront and perhaps eliminate some of the risk of workplace violence. 1 Associated Press, California Attack is latest in String of US Mass Shootings, New York Times, Dec. 2, 2015, http://www.nytimes.com/aponline/2015/12/02/us/ap-us-mass-shootings-glance.html. 2 Mark Follman, Gavin Aronsen, and Deanna Pan, A Guide to Mass Shootings in America, Mother Jones, July 20, 2012, http://www.motherjones.com/politics/2012/07/mass-shootings-map. 3 U.S. Department of Justice, Federal Bureau of Investigation, Workplace Violence – Issues in Response, p. 12, prepared by Critical Incident Response Group National Center for the Analysis of Violent Crime (2002). 4 See 29 U.S.C. § 654(a)(1) (requiring each employer to “furnish to each of his employees employment and a place of employment which are free from recognized hazards that are causing or are likely to cause death or serious physical harm to his employees”). On January 21, 2016 at 3:00 EST/2:00 CST/12:00 PST, Littler will host a webinar titled “Workplace Violence Prevention in the Age of the ‘Active Shooter’.” Registration information will follow. In this Blog I ask John Byrnes, CEO of Aggression Management to draw an important correlation between management commitment in understanding the need to invest in an appropriate prevention strategy and training tactics that deliver results. Such prevention strategy must include quality training for supervisors and employees on recognizing at risk employees and situations. 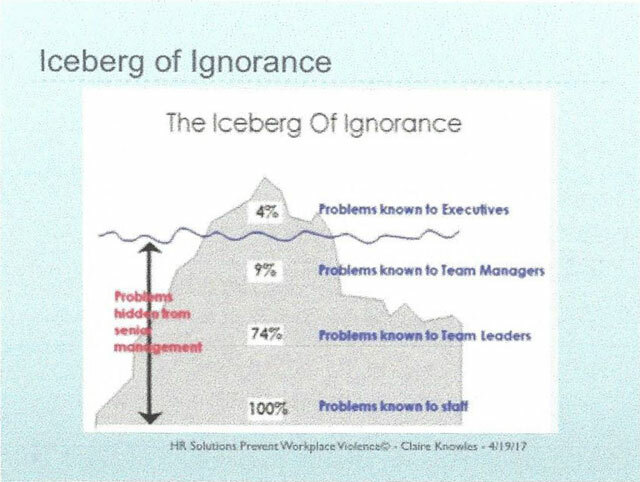 True workplace violence prevention takes place when senior management understands the commitment and needed investment in quality training and procedures that give employees skills. What is the connection between “Acts of defiance by disgruntled employees,” customers and visitors and the threat of violence that these employees, customers and visitors to often exact on our workplaces? We are told by professionals that we must “connect the dots!” But this is too often a question asked in retrospect; this is an after effect accounting, not prevention! If we are to prevent violent and non-violent activities, we must foresee the precursors (get out in front of violence and non-violent acts,) if we actually want to prevent violent or non-violent behavior. Let me show you how! Twenty-one years ago, we developed our now scientifically validated Aggression Continuum, a progressive scale which chronicles aggressive behavior from its outset/beginnings through to include the most lethal of all aggressors, the perpetrator of murder/suicide. We also discovered two types of aggressive behavior, Primal and Cognitive. Primal is adrenaline-driven aggression and Cognitive is intent-driven aggression. We combined these two types of aggression and created the Primal and Cognitive Aggression Continua; once done, all of the body language, behavior and communication indicators that have been known since the beginning of human interaction, all became objective and empirical, leading to scientific-validation. The Primal (adrenaline-driven) Aggression Continuum represents an individual “losing control” due to the effects of adrenaline. What about conscious deliberate aggression, it doesn’t fit in the Primal Aggression Continuum? This is why we developed the Cognitive (intent-driven) Aggression Continuum. Let me offer an example of what is “aggressive behavior” but too often is not seen as such! There are Nine Stages of Cognitive Aggression, at Fourth Stage, an aggressor is not yet prepared to go face-to-face with their victim, they work behind the scenes to undermine the relationship the victim has with their own community (those people the victim likes, loves and respects and with whom they wish to be liked, loved and respected in return). This aggressor turns to the victim’s community and says, “I don’t know about Jane anymore, I just don’t know if I can trust her anymore!” This insidious seed (malicious intent) will grow like weeds in a garden; because partial truth can be far more detrimental than complete truth! This aggressive behavior also undermines “trust,” a key ingredient in Teamwork, Leadership and Loyalty. The revelations made by Felix are emphasized here. Lower levels of aggressive behavior are not only reflective of the potential of violence to come, but also undermine productivity and profitability. Employers who actively identify emerging aggression, will not only make their workplaces reliably “as safe as possible,” the highest form of Evidence-based Best Practices, but will enhance productivity, profitability, teamwork, leadership and loyalty. We have seen employee cultures become far more productive as employees learn how to identify, engage and prevent, not only violence but aggressive behavior that precede violence. As Felix Nater points out in his article, if you believe you have a Workplace Violence “Prevention” program, think again. You must start identifying aggressive behavior (Harassment, bullying, sabotage and, yes, even planting the seed of distrust) prior to violence and non-violent behavior, so as to prevent them. 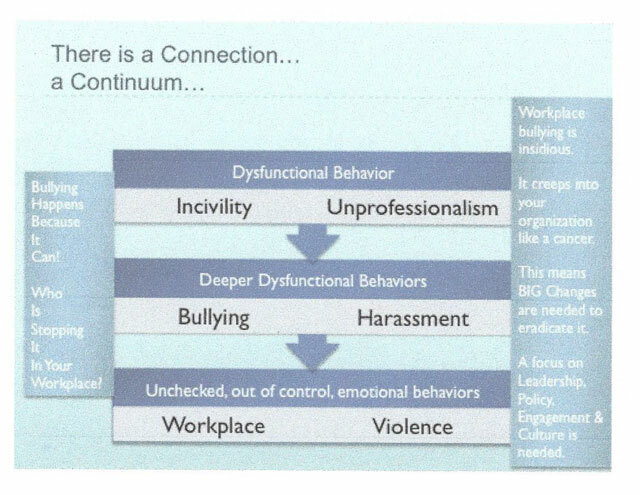 The only way to achieve reliable Workplace Violence “Prevention,” as well as harassment, bullying and sabotage behavior is to implement our scientifically validated Critical Aggression Prevention System (CAPS)! If you would like to know more about CAPS, go to http://www.aggressionmanagement.com/CAPSMovie.html. When a victim of domestic violence is employed – domestic violence goes to work and every employer pays the price. Yet at least 70% of employers do not have policies or procedures in place to address this serious workplace violence issue. Many employers believe that domestic violence is a private family matter – it is not. Domestic violence affects the safety and security all employees. Employers who do not take this workplace violence issue seriously put the lives of all employees at risk and expose the company to major liability claims. If you set aside the altruistic reasons to help employees who are victims of domestic violence here are some of the actual ways it affects your bottom line. The U.S. working population is approximately 5 times that of the U.K. so it does not make sense that the cost of domestic violence in the U.S. is so much less than the U.K. The £12 billion reflects only lost productivity while the $8.3 billion includes medical care, mental health services AND lost productivity. The health care costs of domestic violence, most of which is borne by the employer, are extremely high, with direct medical and mental health care services for victims over $4 billion dollars annually.